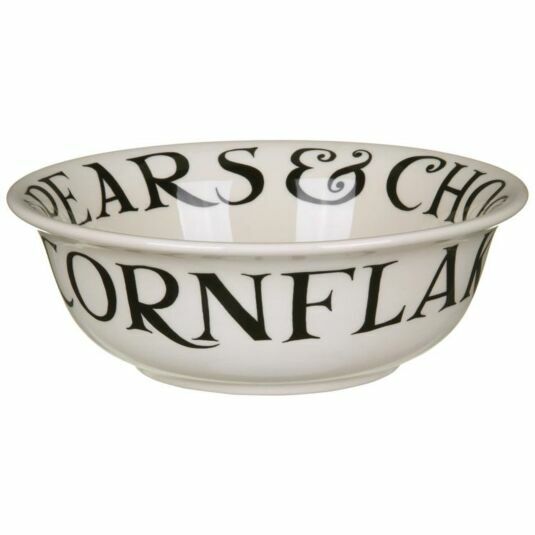 This will be your favourite bowl; the perfect start to your day, filled with your cereal of choice. 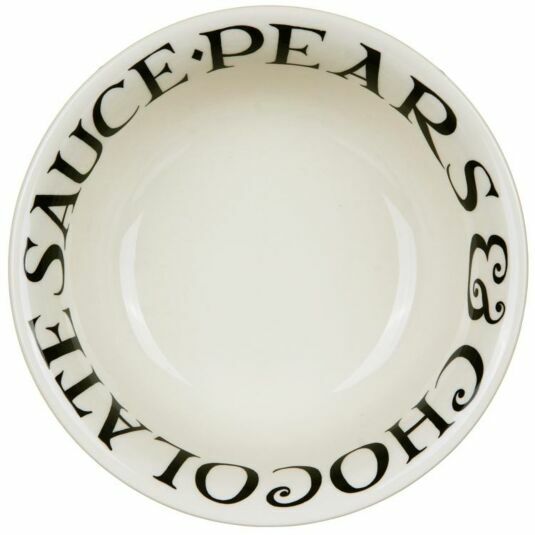 Featuring the Black Toast design by Emma Bridgewater, the bowl features the wording: “CORNFLAKES & MUESLI, PEARS & CHOCOLATE SAUCE”. You can decide whether or not to combine these ingredients! Dishwasher & microwave safe; this bowl is not oven safe. Focusing on typography and orderly patterns created from lines of text, Black Toast is a simple but undeniably stylish range. 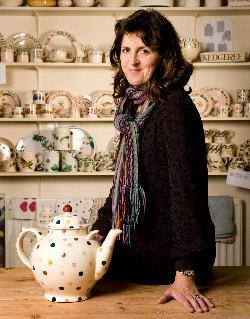 The letters themselves are designed by Emma Bridgewater's husband, Matthew Rice, who has had an interest in lettering since his school days. Combined with the black and light cream colour scheme, this range is both sophisticated and elegant. 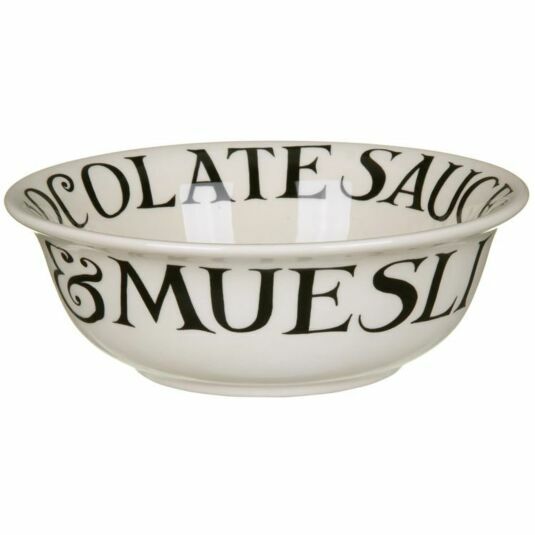 Works wonderfully with the Marmalade range from Emma Bridgewater.